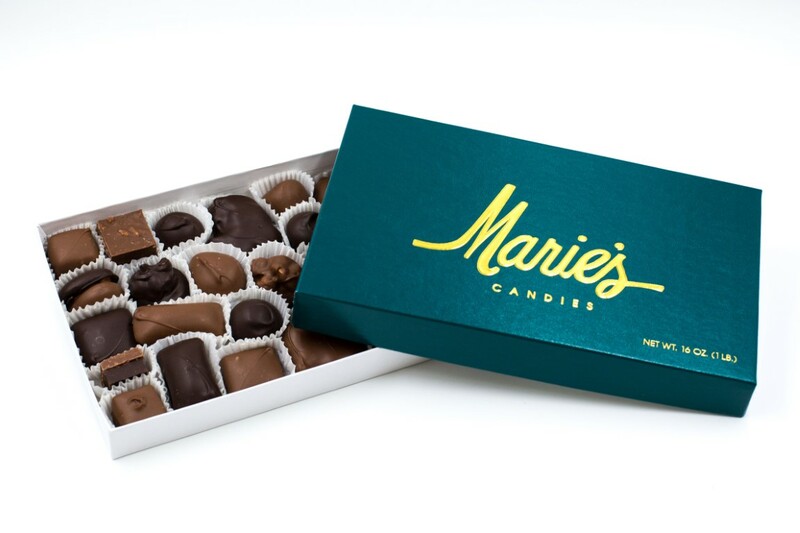 ﻿ Marie's Candies LLC - Ohio. Find It Here. Since 1956, we have been making our own fine chocolates. Visit us in the restored West Liberty train depot and we will greet you with a sample. You can choose from over 100 different kinds of chocolates or find unique gifts for every season and holiday. Our best sellers are Butter Crunch (like toffee), Peanut Butter Fancies (like a peanut butter cup), and Tur'Kins (like a turtle). For more information, please visit our website www.mariescandies.com.